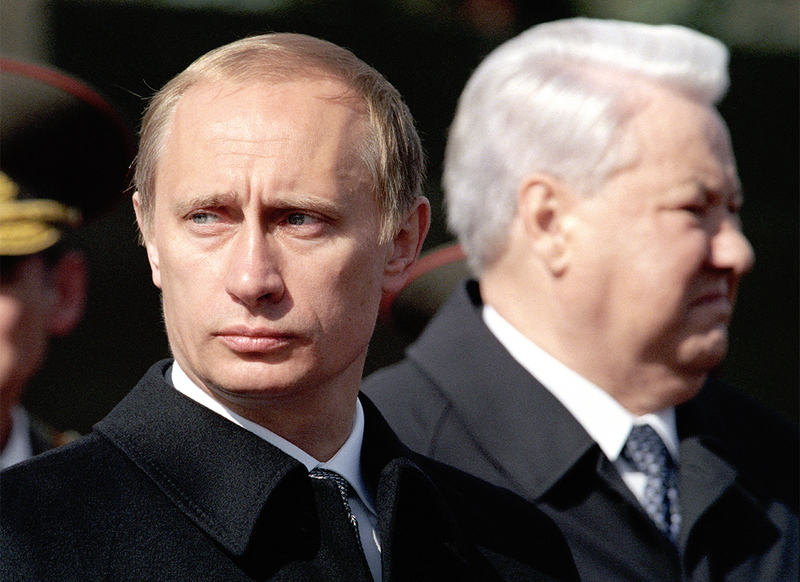 Vladimir Putin and Boris Yeltsin, 2000. 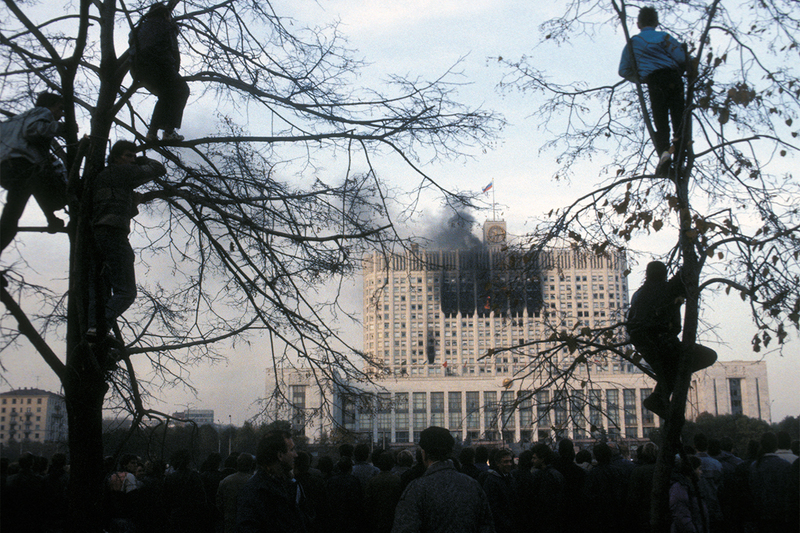 Selections from famed Soviet and Russian photographer Yury Abramochkin's Moscow exhibition. 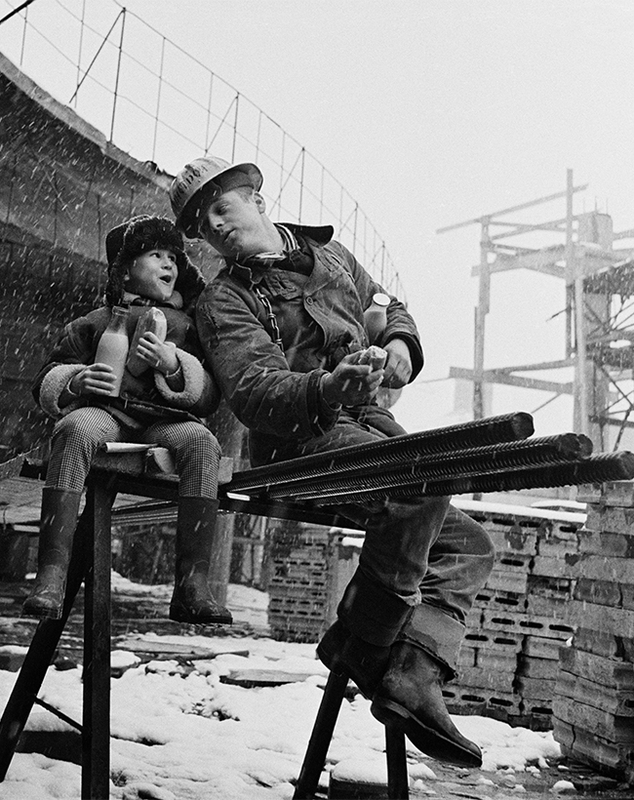 Today the Museum and Exhibition Center ‘Worker and Kolkhoz Woman’, Moscow, presents the exhibition of photographs by Yury Abramochkin. The exhibition will be held until 10 April 2016. 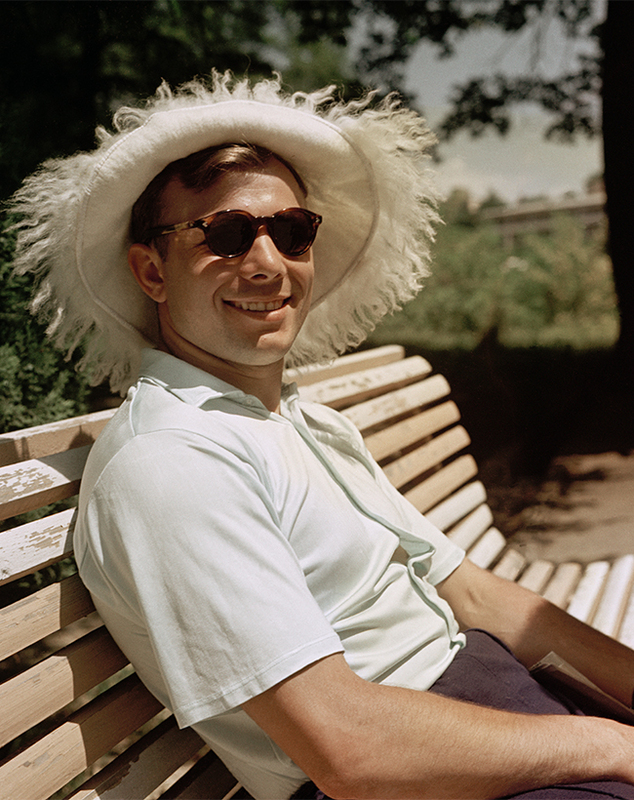 / Yury Gagarin, the first human to reach space, on vacation in Sochi, Russia, USSR, 1961. 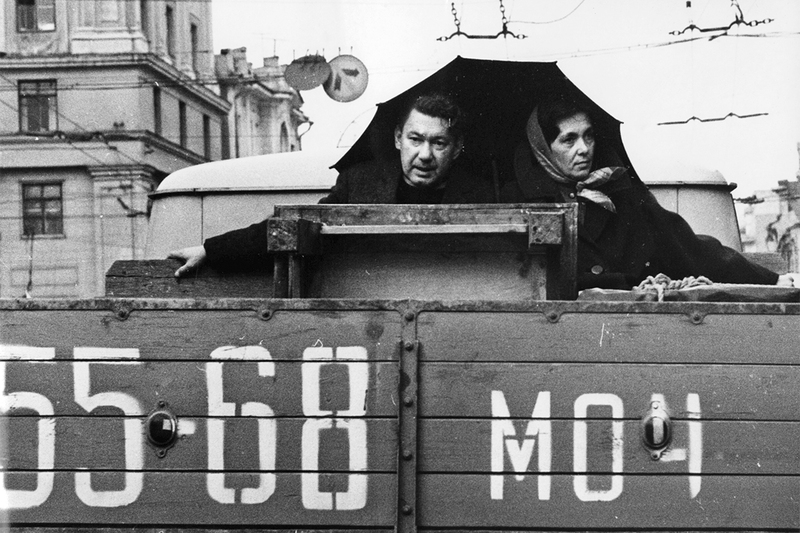 For half a century, Soviet and Russian photographer Yury Abramochkin was part of the so-called Kremlin pool of press photographers and traveled with his camera around the world. 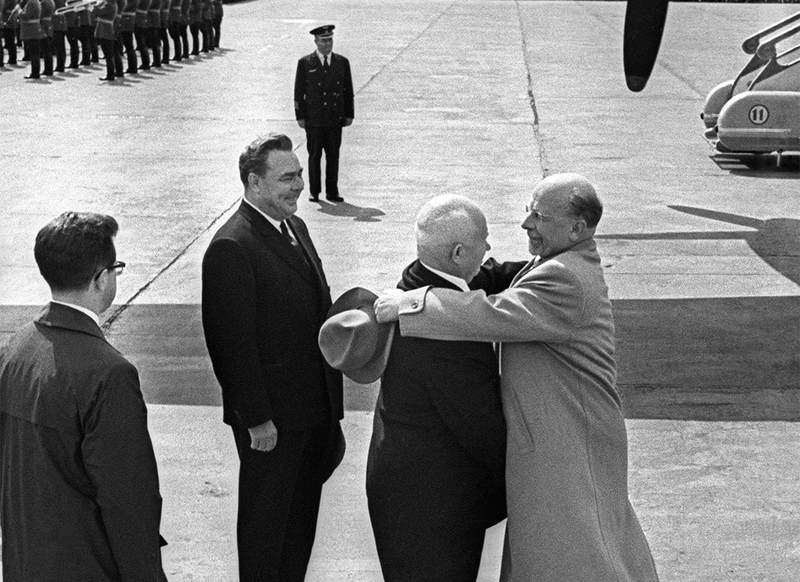 / Soviet head Nikita Khrushchev greets East German leader Walter Ulbricht as future USSR General Secretary Leonid Brezhnev looks on, 1962. Lunch break on a high-rise construction project, 1964. 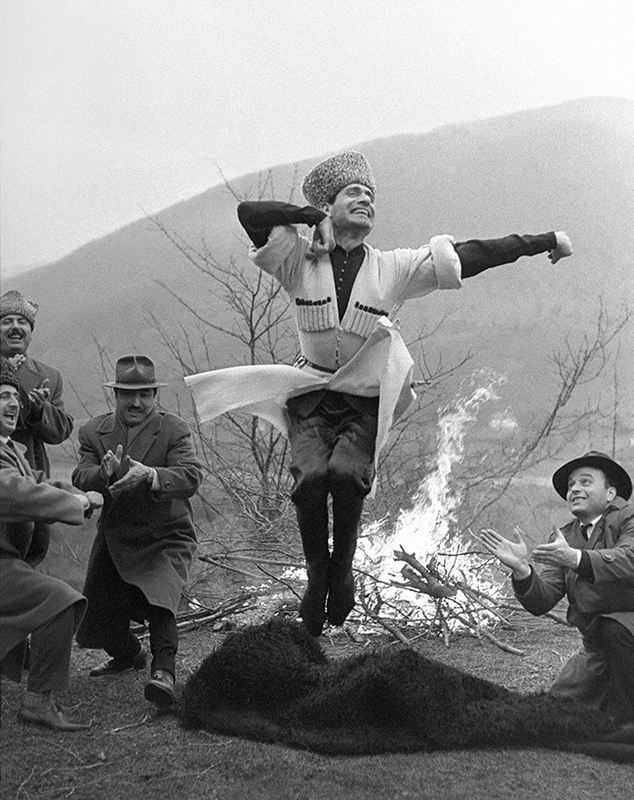 The traditional Caucasian dance Lezginka performed by Makhmud Esambaev, one of the region’s most celebrated dancers, 1971. 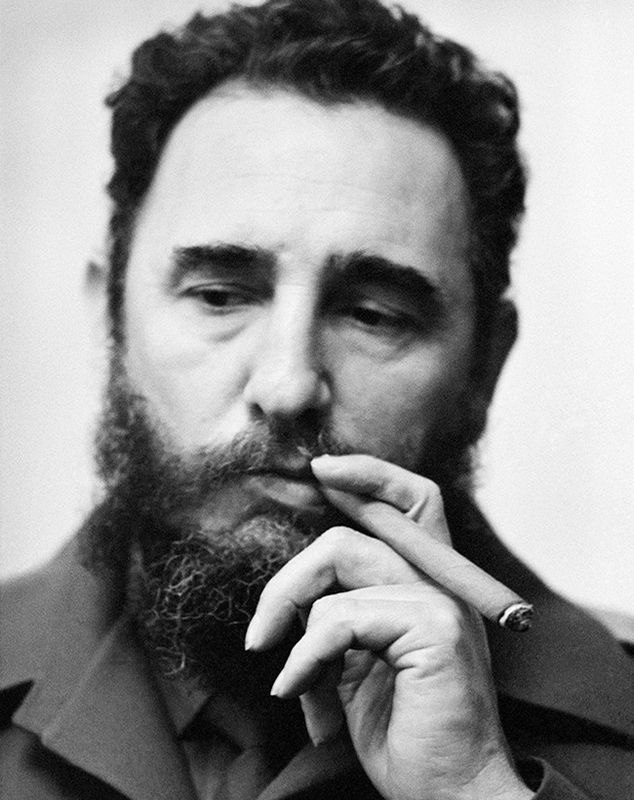 He shot portraits of Nikita Khrushchev, Leonid Brezhnev, Mikhail Gorbachev, Boris Yeltsin, Fidel Castro, Richard Nixon, Queen Elizabeth II, Gandhi, Margaret Thatcher and many others. There is probably no prominent politician of the second half of the 20th missing in Abramochkin’s portrait archive. 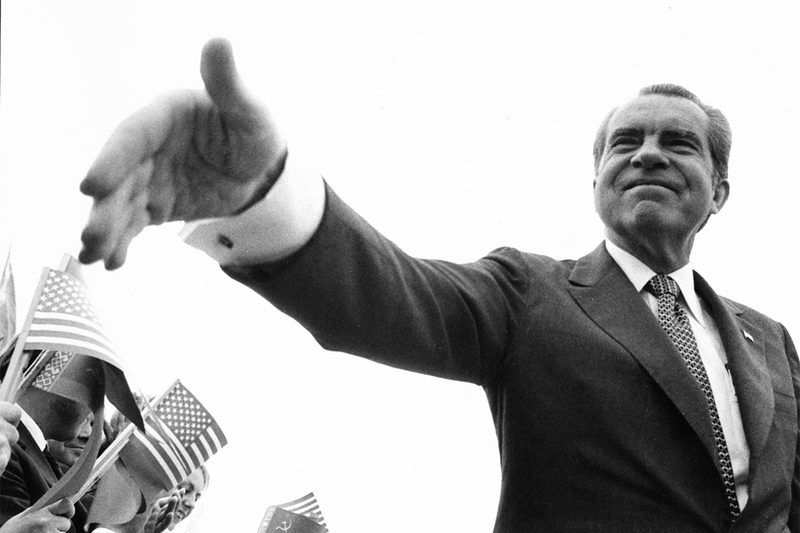 / Richard Nixon in Moscow, 1974. Fidel Castro in Moscow, 1976. Andrei Sakharov, a Russian nuclear physicist and an activist for disarmament, peace and human rights became an advocate of civil liberties in the USSR and earned the Nobel Peace Prize in 1975. 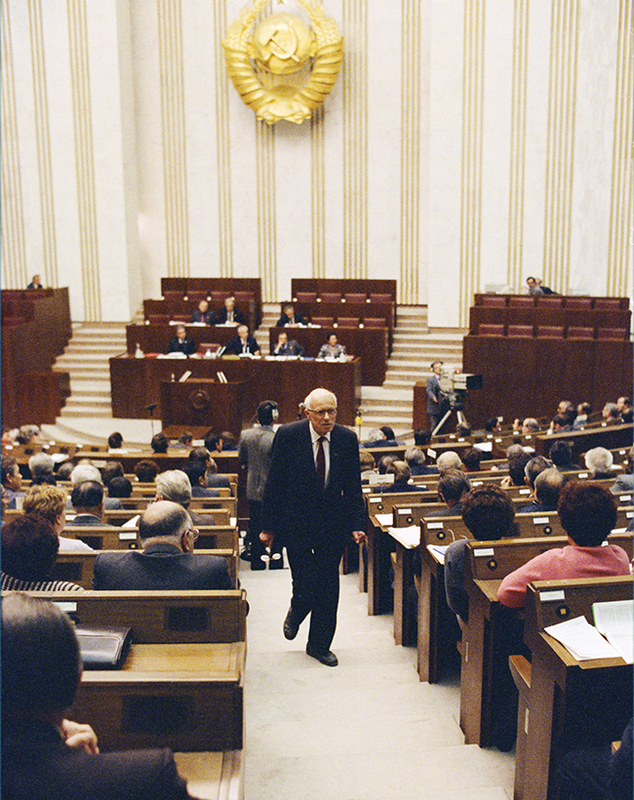 In the photo Sakharov is leaving the First Congress of People's Deputies of the Soviet Union, where he criticized the communist government, 1989. 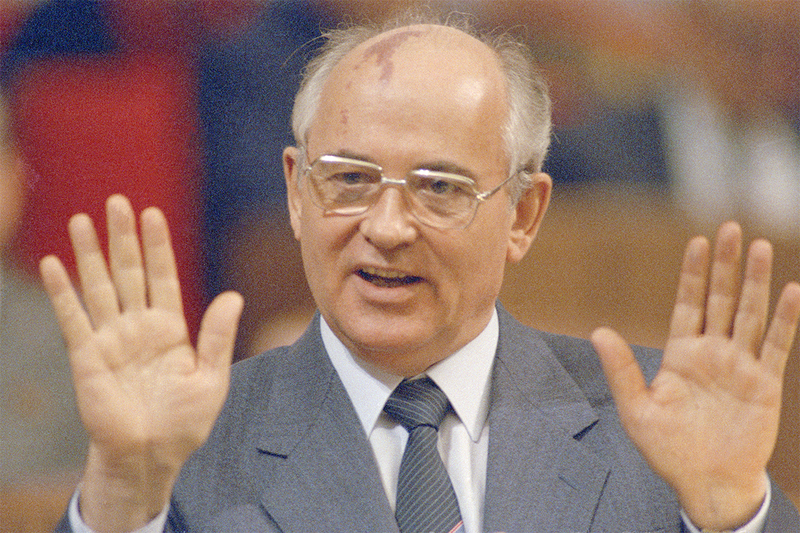 Mikhail Gorbachev, the last leader of the USSR, 1990. Storming of the White House in Moscow, 1993.